The No. 3 Saskatchewan Huskies outscored the No. 6 Acadia Axewomen 77-69 in the second quarterfinal of the day to advance to the national semifinal. The Axewomen warmed to the court quickly and led the Huskies 12-8 by the midpoint of the first quarter. The battle heated up as the Huskies found a new sense of urgency and trailed the Axewomen 14-13 at the end of the opening frame. 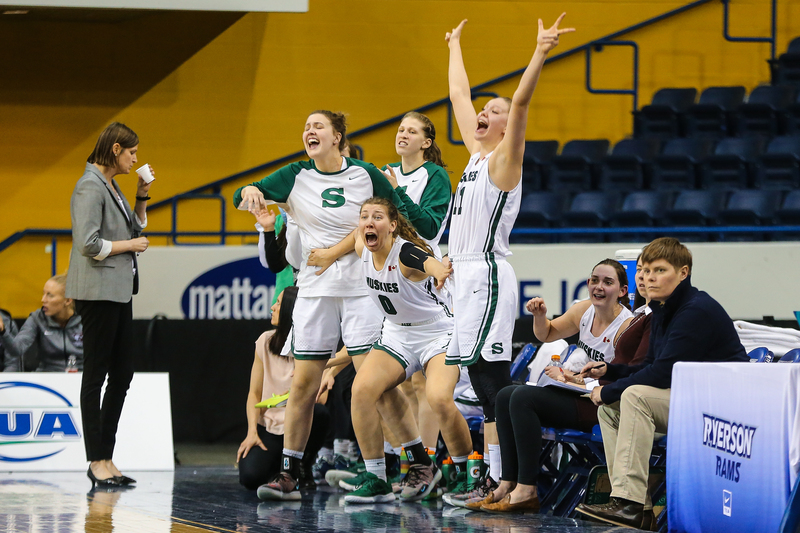 The second quarter opened with a number of turnovers, but the Huskies maintained their pace to earn a 28-25 lead over Acadia midway through the second. 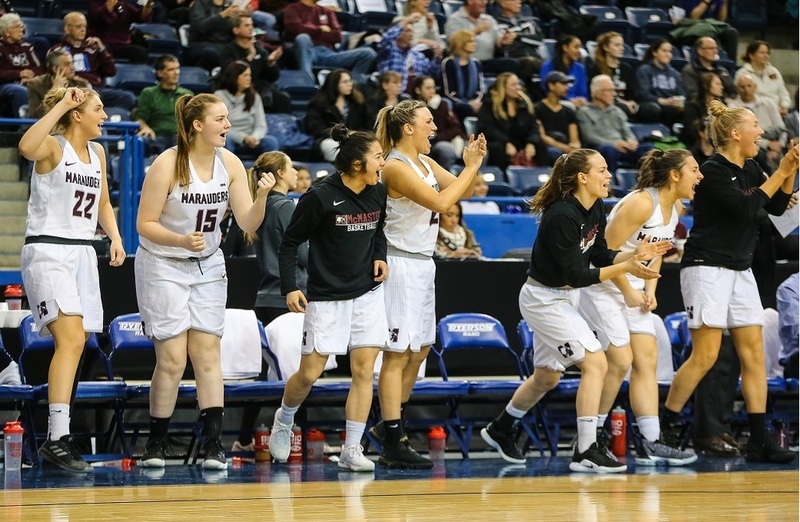 The Huskies then dominated the court, showing off their technical and strategic abilities to shut down the Axewomen and lead 38-28 at halftime. The Huskies weren’t afraid to take chances and drive hard to the net. They kept the ball moving, and their offensive performance earned them a number of chances. At the other end, the Huskies were ready to defend against the Axewomen, who continued to put up a fight. 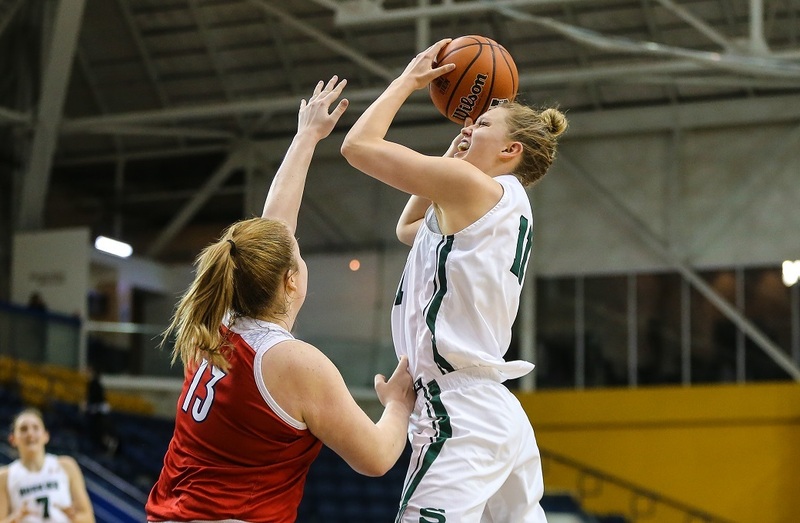 Acadia couldn’t seem to buy the bounce around the rim and despite a couple of three-balls, the Huskies remained in control to lead after the third 62-51. Into the fourth, the Axewomen came out shooting every chance they got. 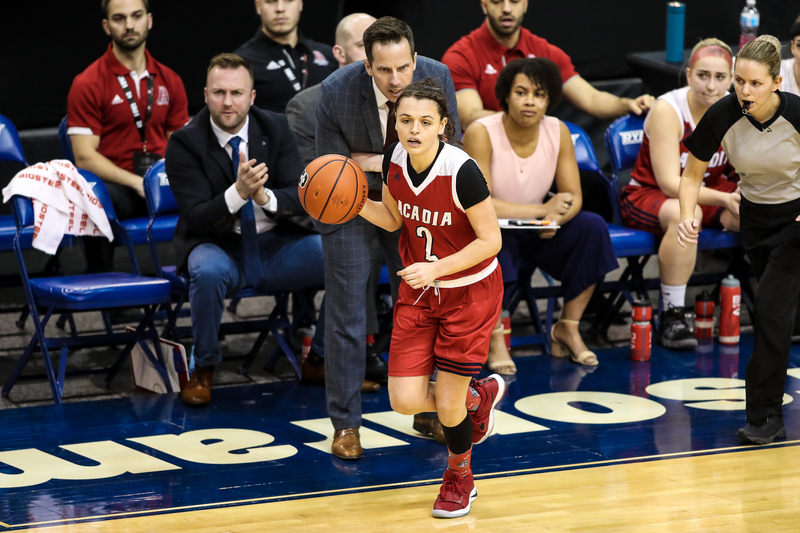 With a number of successful three-point shots, Acadia was able to minimize the gap and maintain consistent pressure over the Huskies. Halfway through the frame, the Huskies were up 67-57 to continue the battle to the final buzzer. Summer Masikewich (Calgary, Alta.) continued to find the basket, tallying a game-high 25 points. The Axewomen then found a new sense of urgency and pushed hard to close the gap. At a timeout called by the Huskies, the Axewomen only trailed 67-62, and took advantage of a foul to make it 67-64 with two minutes remaining. Jayda Veinot (Port Williams, N.S.) came out hard on the offence, totaling a final of 22 points. But the Huskies had some fight left in them to beat the Axewomen 77-69. 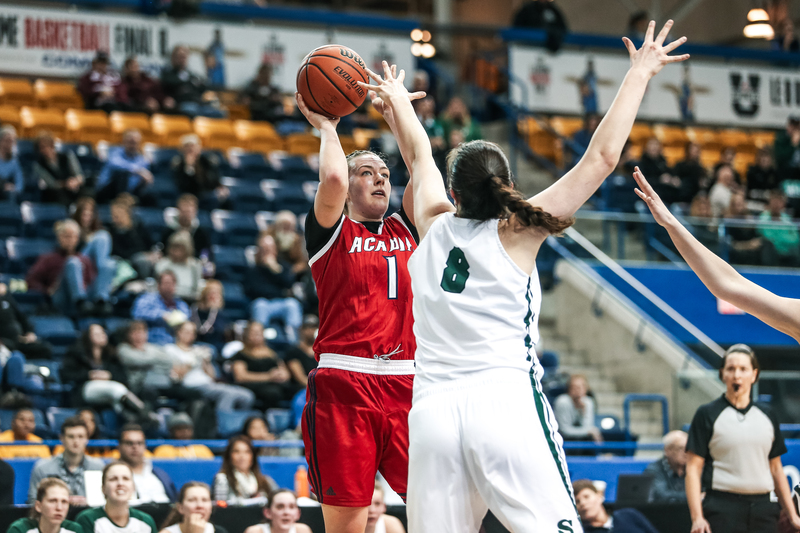 Acadia is scheduled to play Concordia in a consolation semifinal on Friday at 6:00 p.m. ET / 3:00 p.m. PT. The Huskies will play McMaster in the semifinals Saturday at 3:00 p.m. ET / 12:00 p.m. ET live on Sportsnet 360, Sportsnet Now and TVA Sports.